Patient Self Scheduling - What is it and why use it? Patient Self Scheduling – What is it and why use it? We’ve gotten several questions about a Chiron Health feature lately: Patient Self Scheduling. What is it, you may ask? 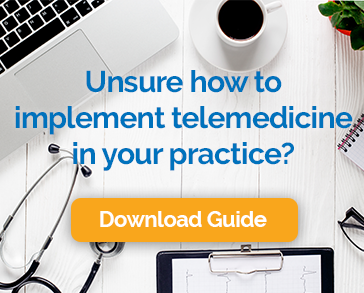 Patient Self Scheduling allows practices to easily promote telemedicine to patients and attract new ones by enabling patients to schedule video visits through their website! Chiron Health’s simple self-scheduling feature makes video visits a snap for patients. Patients are able to view and/or request telemedicine appointment times straight from your website. With this feature, patients can book video visits even when your office phone line is busy or during after-hours when your office is closed. These days people turn to the web when they are looking for anything, medical practices included! Promoting video visits on your website allows you to easily attract new patients that are looking for convenient care. Self-scheduling allows patients to book appointments on a short notice, enabling your practice to easily fill last minute schedule openings with video visits. This allows your practice to be available for urgent requests and during times when office staff isn’t normally available to support in-office visits. Video visits are a compelling reason for patients to choose your practice over the competition. This unique service may allow you to have non-standard office hours, including weekends and evening appointments. It’s also a major value add when you can tell patients they can skip the waiting room and see a doctor from home or work! Patient Self Scheduling is easy to set up. Ask your Chiron customer success representative or Schedule a Demo for more information.